kispexi2 mentioned wanting to figure out how to make the meat buns that the always-ravenous Saiyuki character Son Goku (apparently) enjoys. 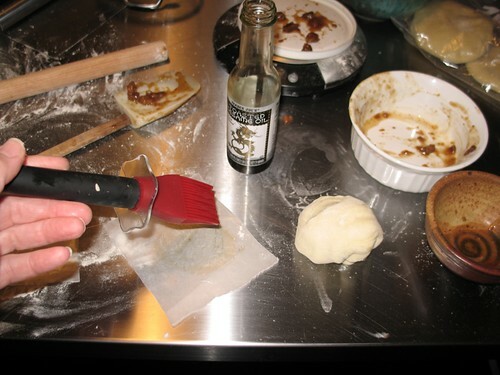 But I grew up in Hawaii, and we had meat buns there, and the other day I decided to find out how to make them. I was pretty sure that the Hawaiian steamed bun filled with barbecue pork and called manapua is more or less identical to the Chinese steamed bun filled with barbecue pork and called char siu bao--and I was right. And I figure that Goku would enjoy them under either name. It's one of those hell-for-leather, elaborate, kitchen-destroying recipes with three parts and hours of prep time and several ingredients that you may not have on hand unless you regularly cook Chinese. 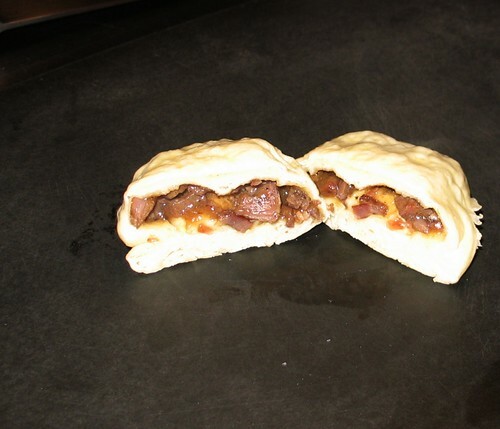 In essence, manapua is a barbecue pork sandwich. Except the barbecue sauce is Chinese, and you bake the bread around the meat. And it's steamed, not baked. But otherwise, same thing. 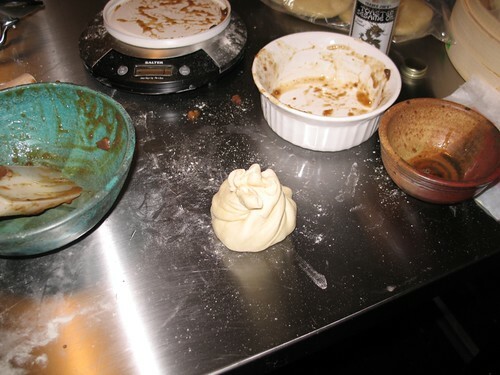 A wonderfully detailed and well-tested manapua recipe is on an ancient 1997 web page at the Honolulu Star-Bulletin, and I will direct the attention of any aspiring Goku bun makers to it, because it's great. I started the char siu pork marinating on Sunday. 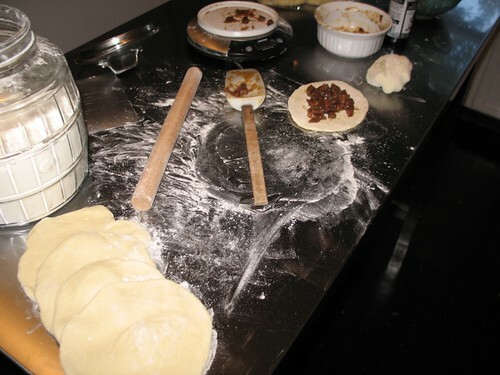 Yesterday, I oven-roasted it and started the yeast dough rising. Today I made the buns. Huge kitchen mess as char siu pork goes into rolled rounds of yeast dough. Sesame oil on the wax paper squares that the manapua will sit on during steaming. The flower-like dough twist to enclose the pork. 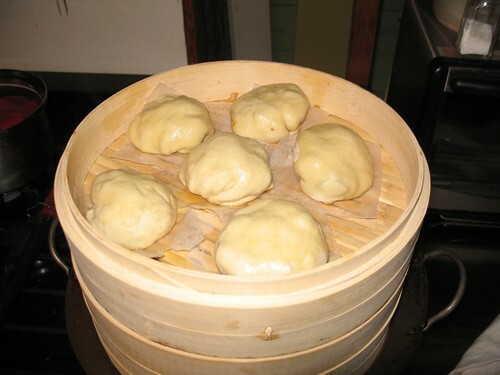 Vietnamese style manapua is steamed flower-up. Hawaiian-style is flower-down. So, I goin' da kine. Tops of manapua coated with more sesame oil and ready to steam. Finished manapua. Not quite as fluffy as I'd like, but ono-licious just the same. Or should I say hen hao? 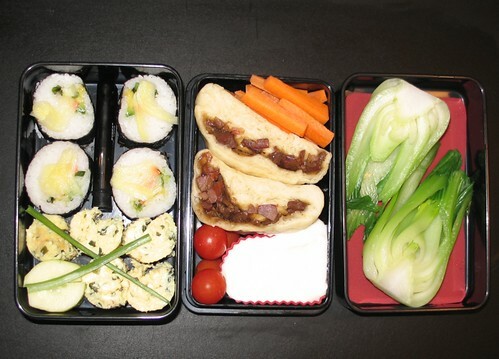 Manapua featured in the breakfast section of my bento box for tomorrow. Note to kispexi2: Think Goku would still eat these if they had barbecue tempeh inside instead of pork? I have some tempeh on hand, and I might give it a try myself!